Pines Barley Grass is harvested at the peak of nutrition and is so nutrient-dense that seven tablets are equal to a large serving of a deep green leafy vegetable. 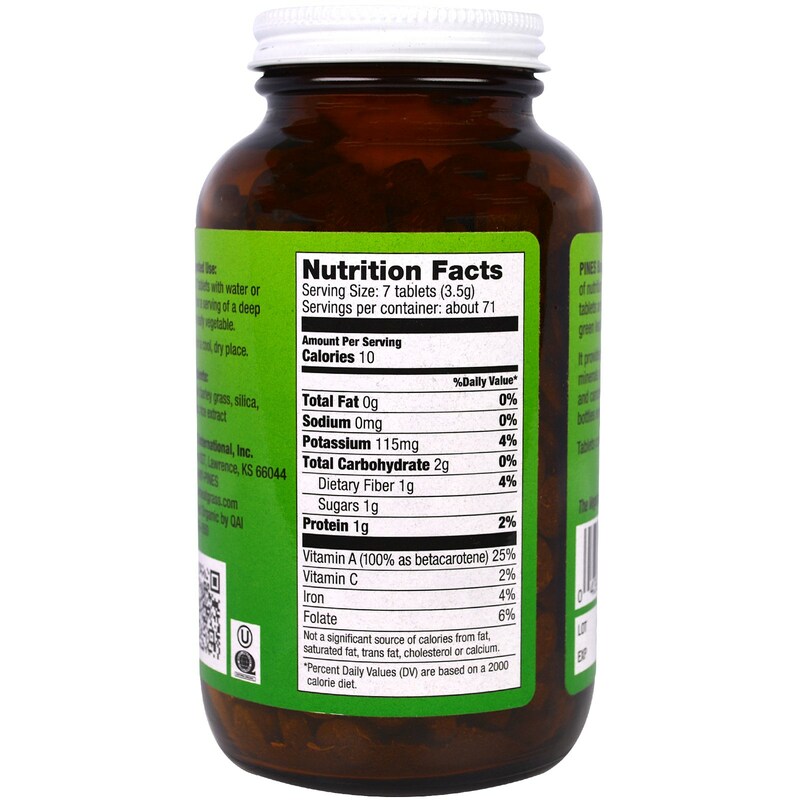 It provides a natural balance of protein, mineral, vitamins, dietary fiber, chlorophyll and carotenoids. Our oxygen-free amber glass bottles ensure freshness. 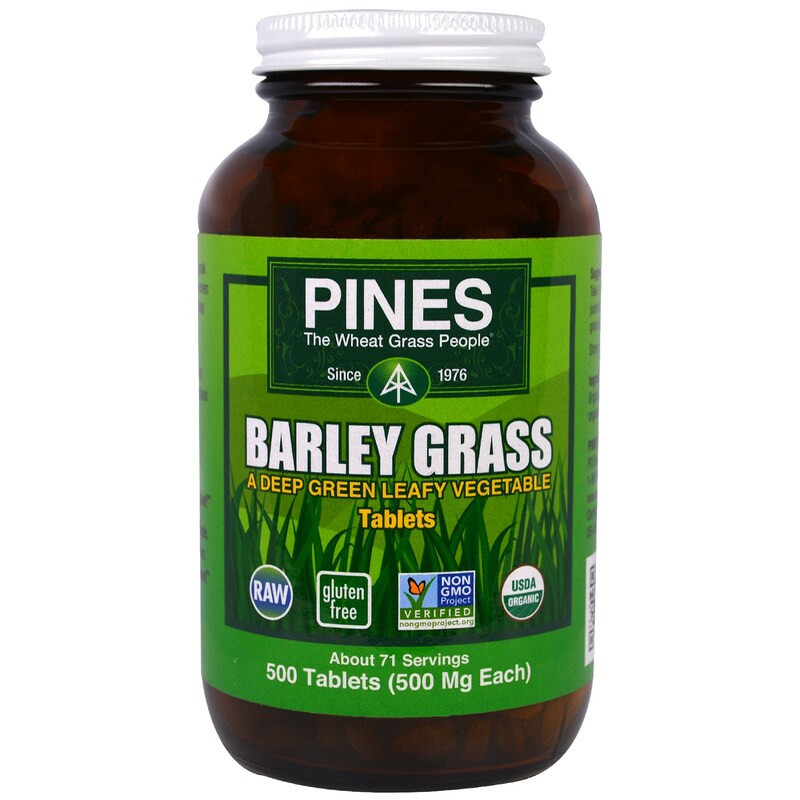 Tablets contain 98% barley grass. Organic barley grass, silica, organic rice extract.